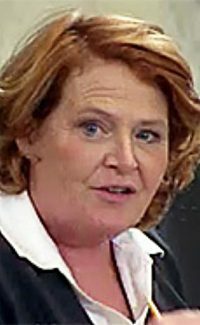 In the strongest indication yet that President Donald Trump's proposed tariffs on Chinese goods could affect the 2018 congressional elections, Sen. Heidi Heitkamp, D-N.D., on Friday criticized Trump's latest threat of tariffs on an additional $100 billion in goods, and Rep. Kevin Cramer, R-N.D., who is running for her seat this fall, followed suit after initially declining to criticize the president. 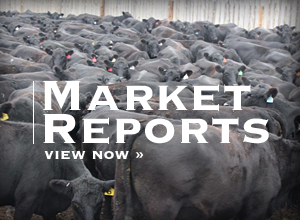 In a news release Friday, Heitkamp urged Trump "to seriously consider the negative consequences of potential retaliatory Chinese tariffs against American farmers and ranchers and work in a constructive manner to support agricultural producers and rural economies." Speaking of the $100 billion threat Trump issued late last week, Heitkamp said, "These proposed tariffs are a big deal. They would directly impact the farm and ranch families across rural America who need to be able to export their products and who would have less money in their pockets due to a trade war." 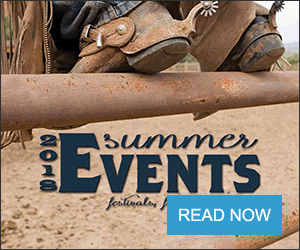 "China must be held accountable for its record of trade abuses and intellectual property theft, but the administration's drastic trade policies would instead come back to hit American farmers and ranchers where it hurts," Heitkamp said. "Tariffs on critical exports like soybeans would cripple North Dakota's ability to sell our products, and we'd most likely face an impending farm crisis. 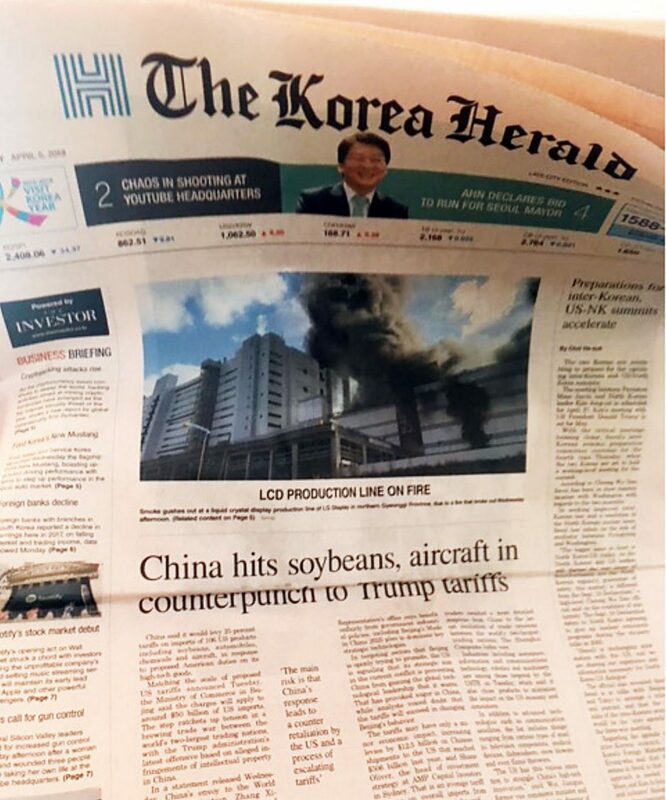 For over a year, I've been raising alarms within the administration about how its trade policies could severely impact agricultural producers. I urge the president to help grow our rural economy, not endanger it." In a letter to Trump, Heitkamp noted that North Dakota is home to 30,000 farmers and that agriculture supports 25 percent of the state's workforce. She highlighted in particular that China has already announced a 25 percent tariff on soybeans in retaliation for Trump's previously announced tariffs. "These actions risk the livelihoods of those across rural America," Heitkamp wrote the president. As The New York Times noted in an article published Saturday, Cramer initially urged Trump to "take a more measured approach" to China. But in a tweet Friday, Cramer "sounded panicked," the Times said. "I contacted @Secretary Sonny (Agriculture Secretary Sonny Perdue's Twitter account) to urge him to use every tool in the farm bill, including Commodity Credit Corp. programs, to protect ag producers from effects resulting in potential trade actions against China," Cramer wrote on Twitter. "Farmers must know the Admin has their back & I urge them to act swiftly." The Trump administration has already noticed the problem and last week the president said in a brief that he had ordered Perdue to use all the powers of USDA to protect farmers from a trade war. Under permanent laws that go back to the 1930s and the 1940s, USDA's Commodity Credit Corp. does have extraordinary authority to counteract low farm prices if a secretary chooses to use them, but using those powers cost money. On Friday, the Agriculture Department's radio news service put out an audiocast in which Perdue, traveling in Kentucky, told reporters that Trump indeed does want farmers protected. But Perdue did not say exactly how USDA would use its authorities to protect farmers, saying he does not want to reveal the U.S. hand while negotiations are taking place. Earlier, on his latest "Back to Our Roots" tour, Perdue had defended Trump's decisions to impose tariffs on Chinese goods, and said the administration will make sure farmers are not "sacrificial lambs" in the process. "I think what the president's doing on intellectual property theft is the right thing," Perdue said at Michigan State University, The Detroit News reported. "The good thing is that farmers are patriots. They understand that if people aren't playing by the rules, action has to be taken, but they don't want to be the only sacrificial lambs in this trade war," he added. 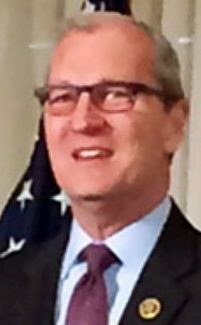 Former Senate Finance Committee Chairman Max Baucus, D-Mont., who has also served as U.S. ambassador to China and now co-chairs Farmers for Free Trade, said on Friday, "American farmers are waking up this morning to the prospect of a 25 percent tax on exports that help sustain their farming operations." 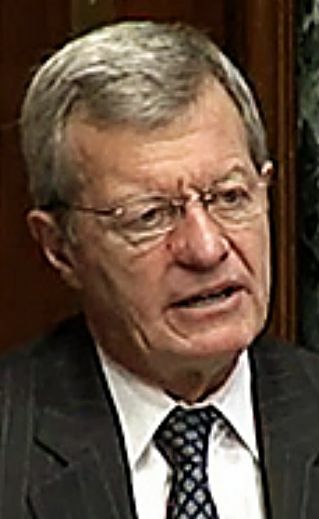 "Farmers are watching as commodity futures tumble and the costs of a trade war come directly out of their pockets," Baucus said. "Cotton, soy, sorghum, beef and the other commodities China has targeted are at the heart of the American agricultural economy. These commodities support not only farmers, but entire rural communities. "A 25 percent export tax on these commodities into our second largest agricultural export market will hurt farmers, but also harvesters, processors, truck drivers, rail workers and main street businesses that rely on a strong agricultural economy. We urge the administration to reconsider escalating this trade war and will continue to work to amplify the voices of American farmers who are paying the price for it." The tariffs, particularly the retaliatory tariffs on American soybeans, were the subject of many news articles around the world and the Sunday talk shows this week. On CNN's State of the Union program, host Jake Tapper noted that soybean prices had gone down this week. Larry Kudlow, Trump's new economics adviser, acknowledged that commodity prices are down, but said that overall growth in the economy is still OK and that, while the stock market declined last week, values are still higher than before Trump was elected. The threat to impose tariffs of $100 billion on Chinese goods was the third tariff announcement Trump has made. The tariffs on U.S. pork, fruit, nuts and wine that China has imposed in retaliation for U.S. tariffs on steel and aluminum are in effect. The American Farm Bureau Federation has published a list of the targeted products and a lengthy analysis in its Market Intel publication, and The Atlantic has explored the relationship between Iowa and China. Meanwhile, last week the Office of the U.S. Trade Representative published a list of products imported from China that could be subject to additional tariffs after a Section 301 investigation found that China's policies coerce American companies into transferring their technology and intellectual property to domestic Chinese enterprises. The $50 billion worth of Chinese imports on which the United States intends to propose tariffs includes farm equipment. USTR has asked for comments on the proposal. China has not imposed tariffs on U.S. soybeans, but there has been speculation a tariff on soybeans might come in retaliation to the Section 301 tariffs. China is recalibrating its farm subsidies to give soybean plantings an economic edge over corn in four of the country's northern provinces, according to a joint statement from its Ministry of Agriculture and its Ministry of Finance, the AgriCensus Daily Report said. The move, which will affect the provinces of Liaoning, Jilin, Heilongjiang and Inner Mongolia to the north of Beijing, targets regions where corn and soybeans already compete and is part of a multi-faceted programme to beef up China's agriculture sector, AgriCensus said. While the statement does not comment on the size of the subsidy, it said "the soybean subsidy is higher than that of corn," and encourages provinces "to concentrate subsidies on advantageous production areas," the article said. China has set up a long-term strategy to promote ethanol production, discourage corn production in less productive areas and slash stocks to more manageable levels, AgriCensus said. 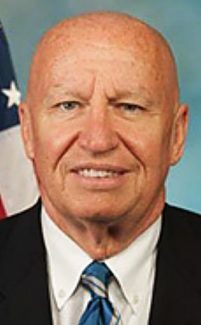 House Ways and Means Chairman Kevin Brady, R-Texas, and Ways and Means Trade Subcommittee Chairman Dave Reichert, R-Wash., both said that the comment process, which includes a May 15 public hearing, will be vital to avoiding harm to U.S. businesses and farms. "China's dishonest trade practices are hurting the American economy and costing thousands of jobs here at home," Brady said. "To address this challenge, I have urged the president to consult closely with U.S. job-creators to ensure we take an approach that punishes China, and not American workers. Publishing this preliminary list is an important step that will allow U.S. companies to evaluate the implications and convey their views about the effect of such tariffs on our economy. I'm confident that we can protect national security and minimize unfair trading practices while protecting American consumers and jobs," Brady said. "We must address China's theft of technology and intellectual property belonging to American companies. 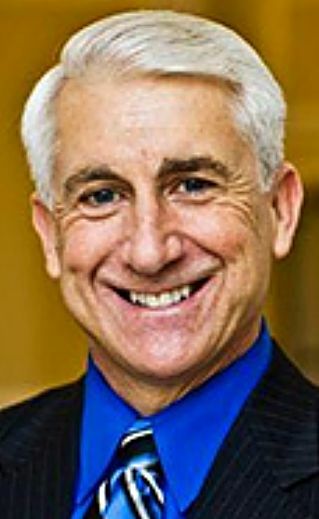 It is a serious problem that requires action," Reichart said. "At the same time, any actions we take should address the problem and also protect the 40 percent of jobs in my home state that are tied to trade. As we have already seen, the threat of retaliation is real and the devastating consequences for Washington's farmers, workers and businesses must be avoided at all costs. "With the administration's release of this list, the American public has the opportunity to provide input into the process and describe what tariffs on these goods would mean for them. I look forward to working with the administration throughout this process because getting this right is essential for Washington's trade-dependent economy," said Reichert.